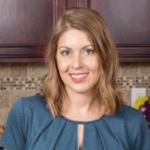 Published: Nov 8, 2018 · Modified: Apr 11, 2019 · By Jen Sobjack · This post may contain affiliate links. 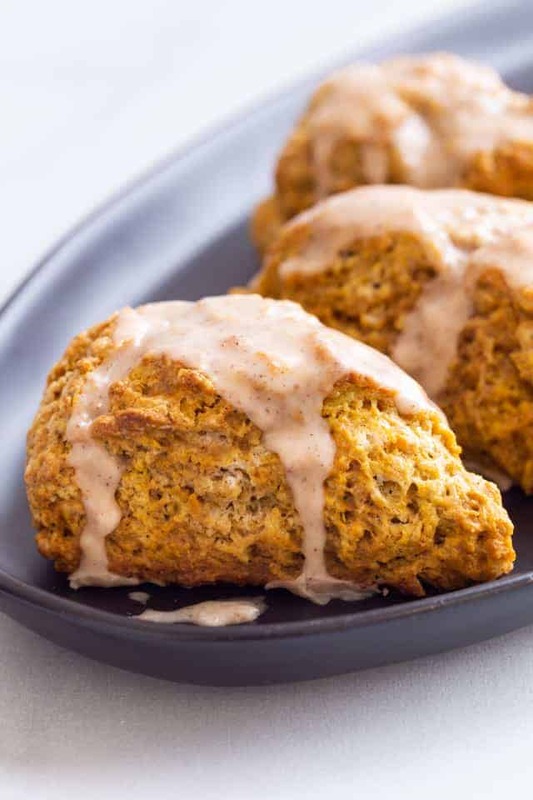 These moist pumpkin scones are crisp on the outside and soft on the inside – just the way a good scone should be. Each one is loaded with cozy cinnamon, ginger, nutmeg, and cloves. 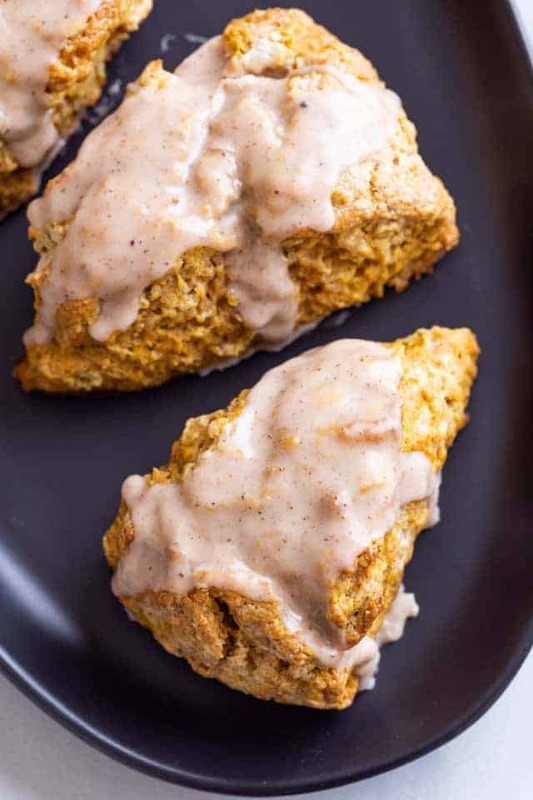 These easy pumpkin scones are inspired by my sweet potato scones. They are made the same way but with pumpkin and tons of spices that you’d find in pumpkin pie. I’m obsessed! I don’t like to toot my own horn but I have become known for my incredibly soft scones with crisp exteriors. So many of you make them every single day and I love hearing about the variations you try! Anyway, today’s spiced pumpkin scones are a wonderful addition to my growing scone collection. They are very heavily spiced which makes them perfect with a cup of hot coffee. The glaze is completely optional but highly recommended. It has the same spices that are in the scones and just takes to them to a sweeter level. 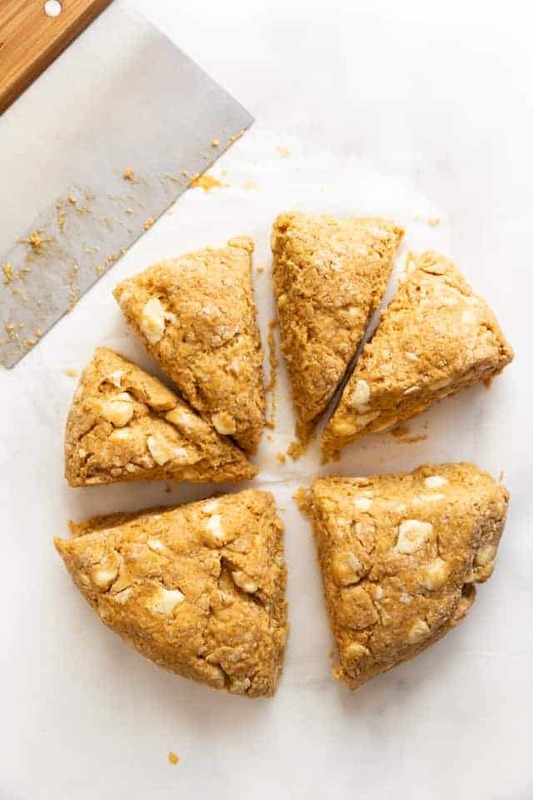 How to make pumpkin scones? 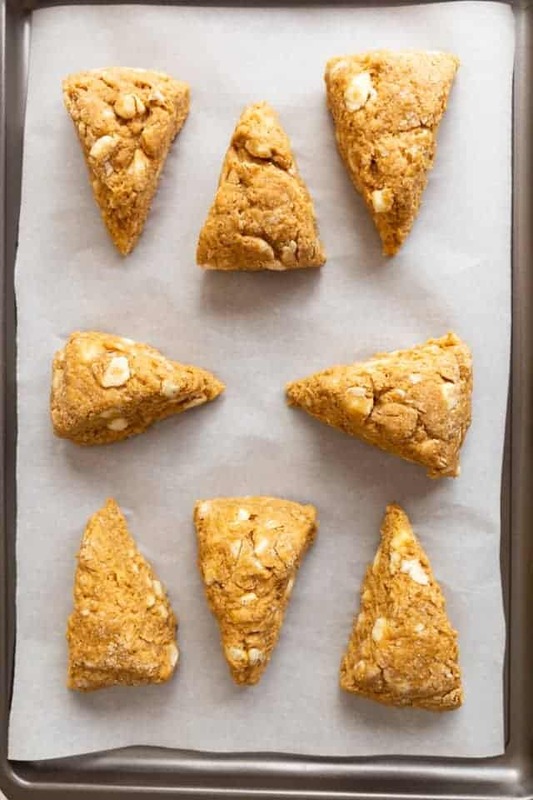 Let’s go over the basics for making the best pumpkin scones. I stress this all the time in my scone recipes – use cold ingredients. To get super soft scones, it’s important to keep the dough cold. Cold dough will hold its shape during baking and the scones will come out impeccably moist on the inside. The cold butter will melt during baking and release steam which creates little pockets of air inside the scone. This also contributes to the fluffy texture! It’s also important not to overwork the dough. Yes, scones can handle some kneading but remember the longer you are handling the dough with warm hands the more likely you are to warm those ingredients that are so important to keep cold. Knead the dough just long enough to bring it all together. To make scones, you first need to combine the dry ingredients – flour, brown sugar, baking powder, baking soda, cinnamon, ginger, nutmeg, cloves, and salt. I put everything in a large bowl and stir it well with a whisk. Next, cut the butter into the dry ingredients by using a pastry blender. A fork also works well. I’ve seen some recipes call for using a food processor but I much prefer doing by hand. You have more control that way. When cutting the butter in, aim for pea-sized crumbs. And it’s perfectly okay if you have a few smaller or larger bits of butter throughout. The wet ingredients go in next. Combine the pumpkin, buttermilk, and vanilla in a small bowl then add it to the flour mixture. It may seem like you don’t have enough liquid but resist the urge to add more. Mix it together as best you can then turn it out onto a floured surface and knead the dough together. Shape it into a circle and cut into eight triangles. Or shape them however you like! After they’ve baked and cooled slightly, drizzle them with spiced glaze. Like I said before, this is totally optional. I prefer sweeter scones and love to add a sweet glaze on top. 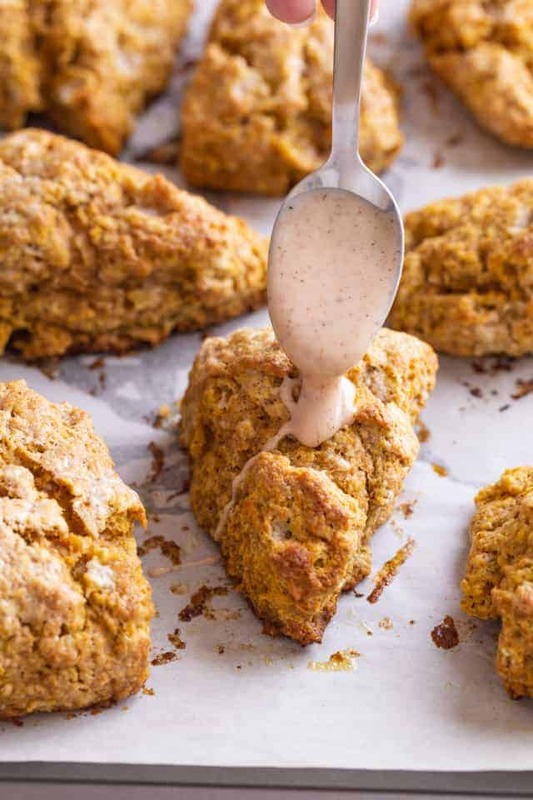 These pumpkin scones are super easy to make a well worth the little effort. I prefer them warm with coffee but they are also great at room temperature. Scones are best the day they are made but will keep for up to two days stored in an airtight container at room temperature. Can pumpkin scones be frozen? Scones freeze very well. Wrap them tightly in plastic wrap and place them inside a large freezer bag then freeze them for up to 3 months. Thaw the scones in the refrigerator overnight. Scone dough can also be frozen. Shape and freeze the dough on a baking sheet then wrap the frozen scones in plastic wrap and place them in a large freezer bag. Freeze the dough for up to two months. When you are ready to make the scones just preheat the oven and bake as directed. In a large bowl, combine the flour, sugar, baking powder, baking soda, cinnamon, ginger, nutmeg, cloves, and salt. Stir with a whisk to combine. In a small bowl or measuring cup, whisk the buttermilk, pumpkin, and vanilla together, then add it to the flour mixture. Stir just until the dough comes together, taking care not to over mix. Combine the confectioners’ sugar, cinnamon, ginger, nutmeg, and cloves in a small bow. Add the cream and whisk until smooth. If you don’t like super sweet scones, omit the glaze. The scones are delicious on their own! 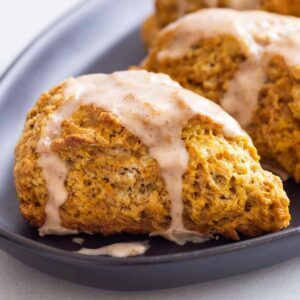 These are the best pumpkin scones I’ve ever had!